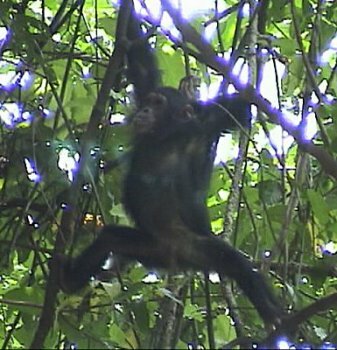 Time for a wild chimp chase! We visited Gombe Stream National Park. 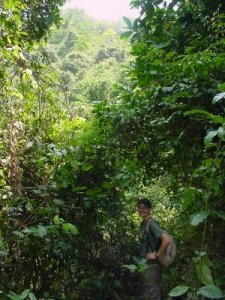 From 1960, Jane Goodall conducted her famous chimp studies here and began the longest running study of any wild animal population in the world. Her study is now in its 5th decade. 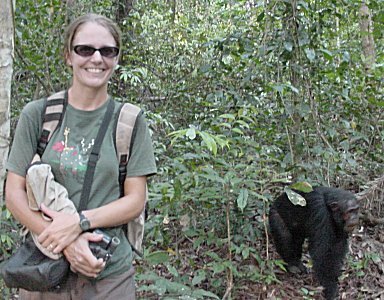 She's raised the world's awareness of chimpanzee conservation. 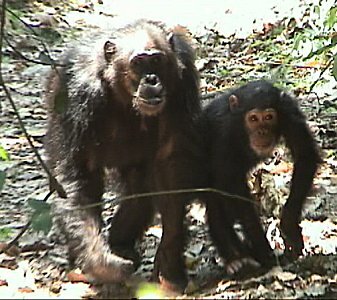 Besides deforestation, humans hunt chimps for pets, medical research, zoos, and meat. To capture a baby, all nearby adults must be killed, resulting in many dead adults and orphans. 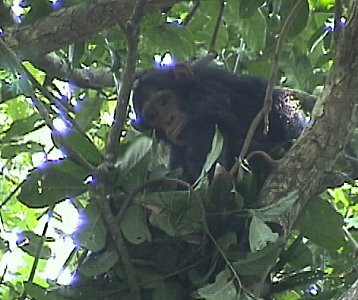 Young chimps cannot be reintegrated since wild chimps kill strangers. 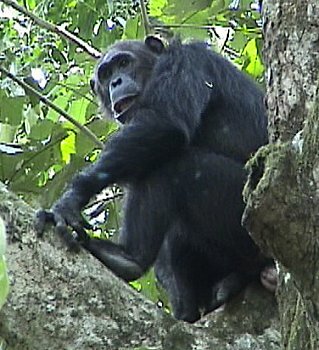 It's a tough world for a chimpanzee. Yes, you can get close to the wild chimps. Don't bring any bananas. 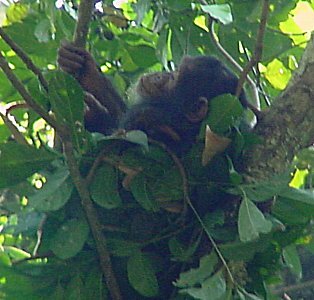 Chimps make nests and sleep in trees. They make a new nest every night. 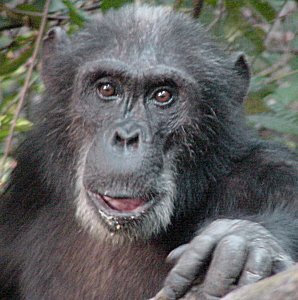 Chimpanzees are one of the three great apes (the other two are gorillas and orangutans). They possess no tail, walk on their knuckles, toes curled, hunched over, and shuffle with one hand between legs. Take our advice: don't stand underneath a chimp in a tree unless you want to get a pee shower or wear crap on your head.